What are the usual procedures that take place at Red Cross Blood Drives? Do you need to make an appointment? Are there walk-ins? How should you prepare to donate blood? If you are unaware of what actually goes on at a blood drive, like I was a few weeks ago, then you’ve come to the right place! 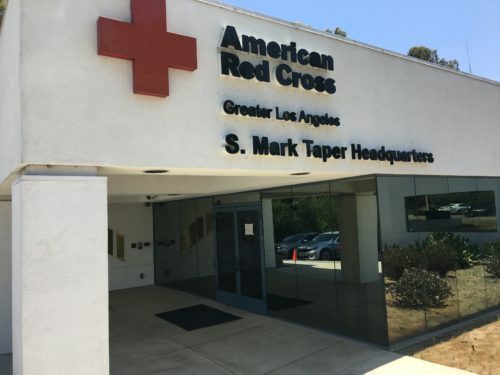 On Thursday, July 13th, I received the opportunity to observe a blood drive at the Red Cross Los Angeles Region Headquarters, to see how it usually goes down. Luckily, I met Judith Radcliffe, a seasoned Red Cross volunteer, and she walked me through the entire process. 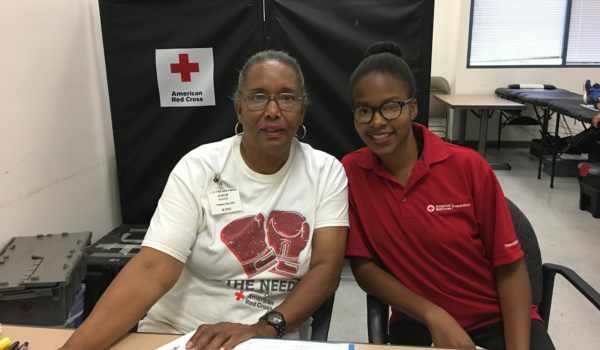 Judith has been volunteering at Red Cross Blood Drives for more than 2 years! 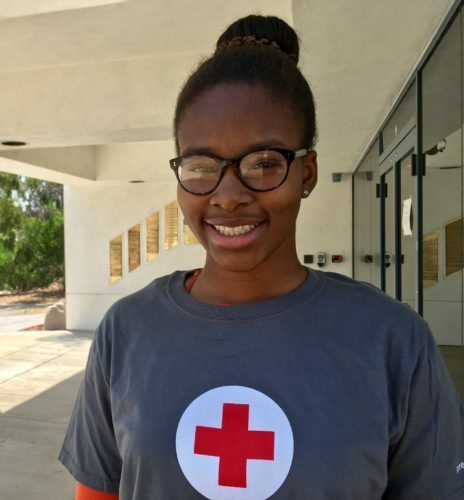 First of all, thank you Judith for all you’ve done for the Red Cross and the Los Angeles community. Your role as a blood drive volunteer contributes to changing and saving lives! 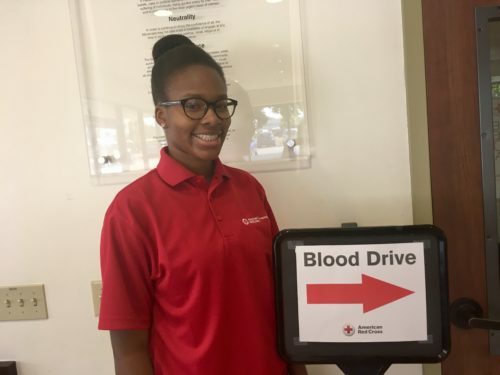 In addition to the actual act of giving blood, for donors, there are two parts to a blood drive: reception and recovery. Reception is the process that involves preparing for donating blood, and recovery is what occurs after the donation is complete. 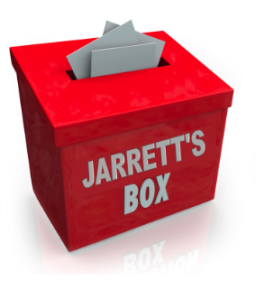 Most blood drives go by appointments, which can be made using the Blood Donor App . Some drives also accept walk-ins. Walk-ins tend to have a bit longer wait due to appointments having priority. IDs are always required for anyone wishing to donate. Before donating blood, each donor must read a document that covers all rules and regulations, however those who have a Rapid Pass and have already read the document online, do not have to re-read it again at the blood drive. After this, donors go into booths where they are asked questions to ensure that they are eligible to give blood. After donating, donors go to the recovery station to have refreshments such as water, juice, and snacks before they depart. While observing the blood drive, I ran into Reynaldo Cruz. Reynaldo has been donating blood for more than 40 years! It turns out that Reynaldo had a sick friend going through surgery in the Philippines, and the first time he donated blood it was for that surgical procedure. After that, donating blood became a habit! Then, when Reynaldo came to America, he began to donate to the American Red Cross! Although he did not wish to reveal his picture, he decided to share his story and I couldn’t thank him enough for doing so! These are the kinds of stories that move hearts and inspire people to donate blood and help save lives!